Newlast developes hi-tech for the shoe industry . In 2008 the Company, world-wilde leader in the CNC machinery and software production dedicated to shoe-last , faces a new round and throws itself on market with a new conception system for the blade cutting of leathers and synthetic materials that becames immediately the best technology at the moment available . Since more than ten years Newlast search for innovative solutions in order to make easier your work and increase your production capacity. Con la finalidad de incrementar la competitividad de las empresas del sector calzado, reducir los costos y mejorar la calidad, la Secretar�a de Desarrollo Econ�mico Sustentable cre� el "Programa de Desarrollo de la Competitividad de las MiPYMES del Sector Calzado Mediante la Implementaci�n, Capacitaci�n y Consultor�a de Dise�o Asistido por Computadora�, con el apoyo de la Secretar�a de Econom�a y el soporte técnico del CIATEC. As�, en el marco del proyecto de mejora de la cultura tecnol�gica, se desarroll� el software "DIDACTICAD� para que sea implementado por las peque�as y medianas empresas de calzado en el estado. "DIDACTICAD� tiene como objetivo principal, elevar la competitividad de las MIPYMES Guanajuatenses por medio del uso de tecnolog�as de dise�o y desarrollo de producto, asistidas por computadora, compatibles a los sistemas internacionales. De esta manera 100 micro, peque�as y medianas empresas Guanajuatenses del Sector Cuero-Calzado ser�n beneficiadas en el uso del software 2D y 3D, denominado "DIDACTICAD�. Capacitando a sus modelistas y dise�adores en la obtenci�n de patrones electr�nicos. Esko-Graphics' Design Life-Cycle Management solution helps structural designers quickly and efficiently create innovative folding carton packaging for consumer products companies (CPCs). Design Life-Cycle Management is a comprehensive software and hardware solution that manages the collaboration, communication, and execution of packaging from ideation through delivery. It features design tools that remove workflow inefficiencies, enabling structural designers to devote more time to develop compelling packaging concepts. "Our Design Life-Cycle Management solution addresses every part of the package design development process for CPCs," says Esko-Graphics executive vice president and general manager Simon James. "The primary component of Design Life-Cycle Management is our Scope packaging workflow offering. Scope comprises a set of modular software tools, among which is ArtiosCAD, the most powerful structural package design application available today." 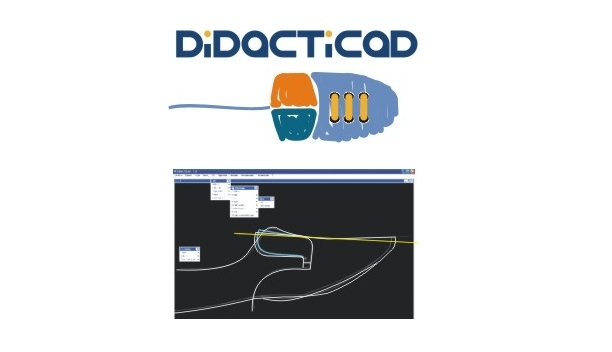 ArtiosCAD offers complete 3-D integration, which enables prototypes of designs and presentations to be made in minutes without having to generate samples, thus shortening design review cycles. Users can even create 3D models that demonstrate how the packaging is folded or assembled. 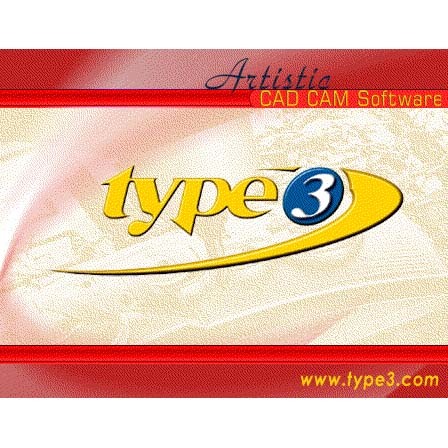 A wide variety of industry-standard 3D formats can be imported, including IGES, STEP, CATIA, Pro/Engineer, and VRML. "ArtiosCAD's 3D capabilities give designers, brand owners, and all other stakeholders in the package design process the ability to quickly assess a particular package design treatment to speed the design process," adds James. ArtiosCAD also works seamlessly with Adobe Illustrator, the industry staple software application for package design. Data can be preserved and shared between these two programs, enabling creative and structural designers to maintain a smooth and efficient workflow between one another. In the past, structural and creative designers did not have such consistency when sharing files with each other. As a result, modifications often would be made to a layout that should not have been made, which slowed the workflow altogether. "This seamless integration alone dramatically speeds the design process," James asserts. The integration between ArtiosCAD and Illustrator also helps structural designers create CAD files that follow graphic outlines - a particularly important element for designers of displays and folding cartons, where the final package die cut must often follow specific graphic features. Two Illustrator plug-ins - which are available free of charge at www.esko-graphics.com - enhance productivity and communication between structural and graphic designers. The first plug-in imports native ArtiosCAD files into Illustrator, maintains ArtiosCAD layers and information, and provides dedicated tools to preserve CAD data within Illustrator. Conversely, designers using Illustrator can utilize the second plug-in to export graphic information directly into ArtiosCAD. - tool alignment and snapping - provides extensive graphical feedback to users, making ArtiosCAD easy to learn and use. - robust drafting tools - help designers gain more productivity via automation. 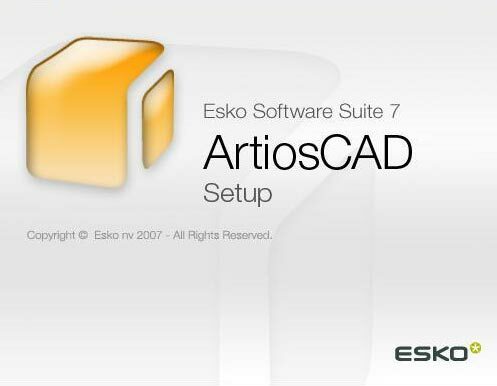 For example, ArtiosCAD's Automatic Dimensioning tool can be used to automatically add dimensions either to an entire drawing or just a selected area. - Smart Standards - allow users to create designs and maintain design consistency in a matter of seconds via a library of standard templates. Here, a single Smart Standard can be automatically resized to create thousands of basic parametric designs. - efficient sheet layouts - enable users to examine the estimated production cost at each machine within a packaging plant. ArtiosCAD's Intelligent Layout function automatically suggests optimum layouts with lowest cost. 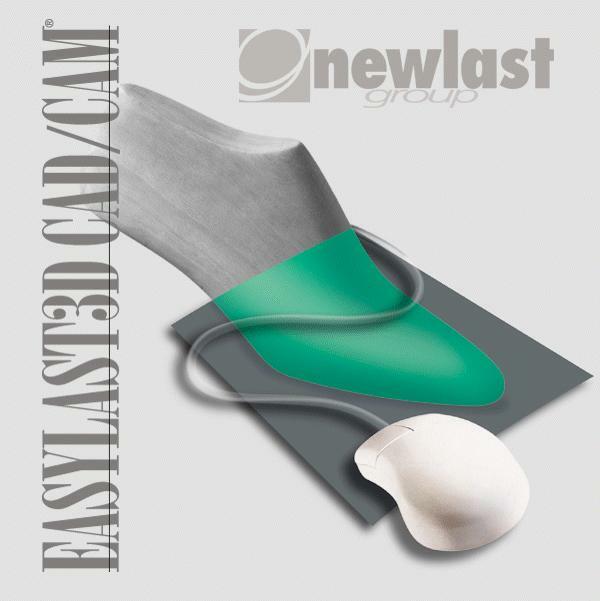 - layout and tooling design features - can be used to create plate layouts and die tooling that later will be used in the manufacturing process. - integrated database and reporting - enhance communication within a CPC and with its external suppliers. Database Reports can be saved in XML, HTML, and Excel formats. OEM-endorsed ESPRIT drives machine tools in over 15,000 shops across the globe, and is available in more than 15 languages from over 200 resellers. Comprehensive in its ability to handle today�s most advanced machines, ESPRIT satisfies even the most demanding programmers and machining applications. ESPRIT is preferred by CNC programmers worldwide, in every advanced manufacturing sector � from medical to aerospace. ESPRIT is the right choice for programmers, manufacturers, and machinists looking to fully exploit their machine tool investment and enjoy the unparalleled freedom of advanced productivity. EZ-EDM the easiest to use CAM system available today. Automatic filleting, advanced trimming commands and mathematical function plotting are just a few examples of EZ-EDM state-of-the-art CAD features. Create geometry in any plane using the Multiple User Coordinate Systems. Import IGES, DXF and VDAFS geometry files. IGES loading is optimized for importing all major CAD system files. Dynamic rubberbanding lets you preview the results of a command before completing it; and if you still make a mistake, you can undo/redo up to 25 consecutive commands. Solid and surface models can now be imported via IGES and STL. Machining curves can then easily be extracted as cross sections from all visible surfaces. 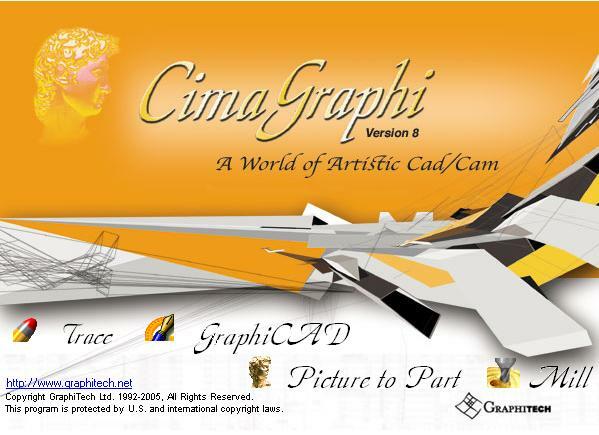 Extensive 3D surface creation and editing functions are also provided. Dynamic Rotation, Panning and Zooming of all geometry and toolpaths lets you more quickly and easily change views and inspect your parts. Built-in BASIC macro language editor provides extensive macro writing capabilities, allowing end users endless customization options within the product. Postprocessor definition language supports BASIC scripting. Get the most out of your wire EDM using modern machining technologies, based on several years of shop floor experience. Define multiple cuts for roughing and finishing using user definable technology database. Let the software cut back and forth or automatically create subprograms for every contour. Define single or multiple stoppoints. Easy creation of cylindrical and conical shapes for output as angular or four axis XY-UV NC code. Punch and Die Design wizard lets you select pre-defined machining strategies which greatly simplifies programming. It includes a new Taper & Land option that lets you quickly enter in angles and land height for all possible combinations. New auto-sequencing options give you full control over the order of rough, finish and cut-off operations for multiple or single profiles. 3D Solid Model Preview function lets you watch your part being cut from a solid block of material. A toggle lets you switch between the cavity, cut-out, or wire path pieces, and you can dynamically rotate, pan and zoom the model for full inspection. EZ-EDM comes with a library of post processors for the most commonly used EDM machines including: FANUC, SODICK, JAPAX, AGIE, CHARMILLES, MITSUBISHI, and MAKINO. And you can easily build your own post-processor files for virtually any CNC control with the included EBuild utility. A new EZ-DNC G-code text editor with DNC RS232 communications is also included. FluidDRAW� is the circuit diagram software for PCs, which operates without the use of an additional CAD system. Pneumatic circuit diagrams and parts lists can also be quickly created on a PC thanks to the FluidDRAW� software with its comprehensive symbols library and with interfaces to the Festo catalogue on CD-ROM. The comprehensive FluidDRAW� symbols library accesses the extensive integrated library of DIN standardised pneumatic symbols. These are categorised into groups according to drives, valves, valve terminals, compressed air preparation, vacuum technology, flow control and non-return valves, etc. Having made the section via the picture menu, the user places the required symbols on the drawing in the desired position using the mouse and so configures the circuit diagram. Recurring symbol combinations can be stored as macros. 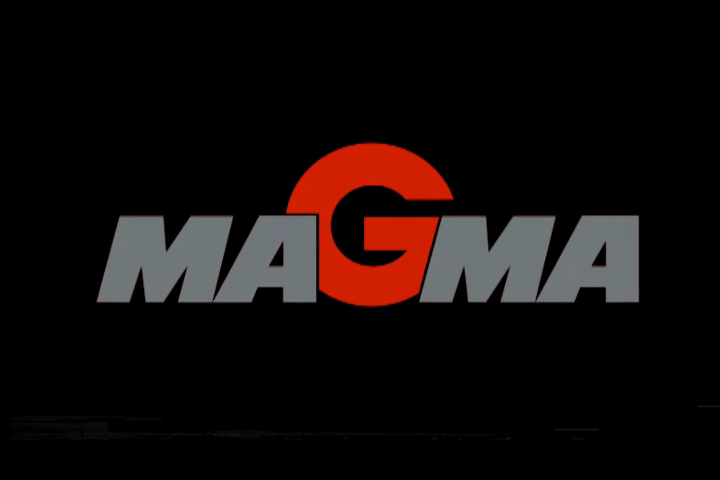 MAGMASOFT� is a comprehensive simulation tool for the technological and quality focused production of castings worldwide. Our simulation capabilities show you the way by providing a better understanding of mold filling, solidification, mechanical properties, thermal stresses and distortions, and much more. Fully menu-driven with an integrated solid modeler, CAD interfaces, and extensive databases, MAGMASOFT� provides a complete solution for your design, production, and quality departments. MAGMASOFT� helps you to avoid gating and feeding problems, predict casting quality, aids permanent mold design and reduces fettling costs.